What Disclosure Laws Should I Know Before Selling a Chicago Home? Have you ever purchased clothing or home goods at a second hand store? If you have, you know how tempting it can be to try to find out everything there is to know about that out-of-nowhere t-shirt or tea kettle you just found. Where did it come from? Who owned it before you? And, most importantly, why did the last owner choose to get rid of it? If all those questions come up when you’re shopping for gently used clothes, imagine how many questions buyers have when they’re considering a new home. After all, many home buyers here in Illinois see this purchase as their “Forever Home.” For families, buying real estate is about having a place to live in the here and now, but it’s also about setting up your long-term financial future. A home is an investment – and buyers need to be able to know that they’re making a sound choice. That’s why we have disclosure laws here in Illinois. Disclosure is a standard part of most real estate exchanges in Chicagoland, and it’s important to understand what our local disclosure laws are, and how they may affect you as a buyer or seller. Broadly speaking, disclosure laws are designed to reassure buyers that they’re making a safe investment in a specific property, by requiring sellers to reveal any material defects or problems that they may be aware of. If, down the line, a material defect is discovered that was not disclosed, the buyer may be able to back out of the sale. Or, depending on when the issue comes up, they may be able to file suit against the seller for damages, court costs, and fees. Disclosures are part and parcel of most real estate transactions here in Illinois, thanks to the Residential Real Property Disclosure Act, a statute originally enacted in 1998. This rule requires sellers of real property to fill out a form, answering questions about more than 20 common types of disclosures. The Real Property Disclosure Act applies to almost all pieces of residential property being sold, including single family homes and multi-unit condominium and co-op properties. However, the Act does not apply to commercial properties, and generally does not pertain to new construction homes, which have never been occupied. It’s also not generally required for foreclosure sales or homes affected by bankruptcy or probate proceedings, or for property transferring from one co-owner to another. What Disclosures Am I Required to Make? As a seller – or a real estate agent representing a seller – you must disclose latent defects, or those defects that are known to you and your broker, but which might not be visible or apparent to a purchaser seeing your home for the first time. Broadly speaking, you and your broker are not necessarily responsible for discovering, investigating or otherwise uncovering defects, but you do have a duty under Illinois law to make defects disclosures that you already have knowledge of. Most experts strongly advise erring on the side of disclosing as much as possible, rather than trying to withhold information. In addition, a standard disclosure form will also come complete with pages specifically dealing with the disclosure of radon hazards, in line with the Illinois Radon Awareness Act. Disclosure packets will also come with a form of mold disclosures, as well as disclosures about the presence of lead-based paint, for properties built in the 1970s or prior. All owners are required to sign the disclosure form, certifying the information they are submitting as complete and accurate. A supplemental disclosure may need to be completed if some party (such as an inspector) discovers a relevant material defect after delivering the initial form. Generally speaking, sellers do not have to disclose defects that they reasonably believe to have been solved, or corrected. However, it can go a long way if seLllers detail the date and scope of those defects, and the steps taken to remedy them, as a way to avoid any potential liability down the line. For buyers, these disclosures are designed to be a measure of protection. They’re intended to offer assurances that they’re purchasing the piece of property they think they are. As a result, Illinois disclosure laws offer buyers certain options for recourse if sellers fail to make proper disclosures, or if it’s revealed that the disclosures were incomplete, inaccurate, or misleading. Specifically? Buyers can generally get out of a sale if the seller fails to complete the standard disclosure forms before closing. After closing, a buyer’s best course of action for significant and costly issues that come up from incomplete or inaccurate disclosures may be to file a lawsuit against the seller. It’s important to discuss all of your options with a legal professional to see if you have a case, and to determine if litigation is indeed the best course of action for your specific circumstances. Have Any Questions? Looking for Help? For buyer and sellers alike, it’s important to have a real estate transaction that is open, transparent, and effective for both parties. At any stage of your real estate process, from contract negotiations to homeownership, a real estate attorney is a vital partner to have on your side. If you have any further questions about disclosure laws and practices in Illinois, don’t hesitate to get in touch with the attorneys and staff of the Gunderson Law Firm today. 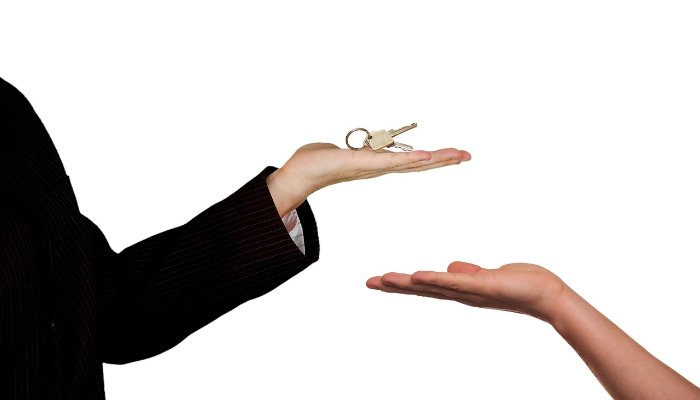 Our team specializes in real estate law. We bring unparalleled expertise, insight, and professional connections to legal matters including residential real estate, purchases and sales, condominiums, property development, asset protection, and so much more. Drop us a line today to get the conversation started, or to set up your free initial consultation.